As a caterer I’m sure you’d love to be busy every day with events and jobs. But let’s face it, there is bound to be times where you might have a few weeks of downtime…then all of a sudden the phone is ringing non-stop and orders through the internet are blazing through your screen like wildfire. Your focus is on executing the menu to the best of your ability. You order the freshest meats and produce and time your production with flawless precision. But, are you paying attention to what you are serving the food on? The stack of plates from the last event 2 weeks ago has been sitting on the shelf in the corridor waiting to be packed for the event. It’s been collecting dust, potentially splashed with mop water and bleach, and maybe the flies buzzing around the dumpster out back have been using it as their landing pad. Ignores any nasty tell-tale signs on the plates and loads them up anyway. Takes time to re-wash them. Chances are option 1 are more likely to happen. You have nagging questions in the back of your mind but have no time to follow up. If your employee chose the easy way out, it could make a LOT of people really sick. Be safe. 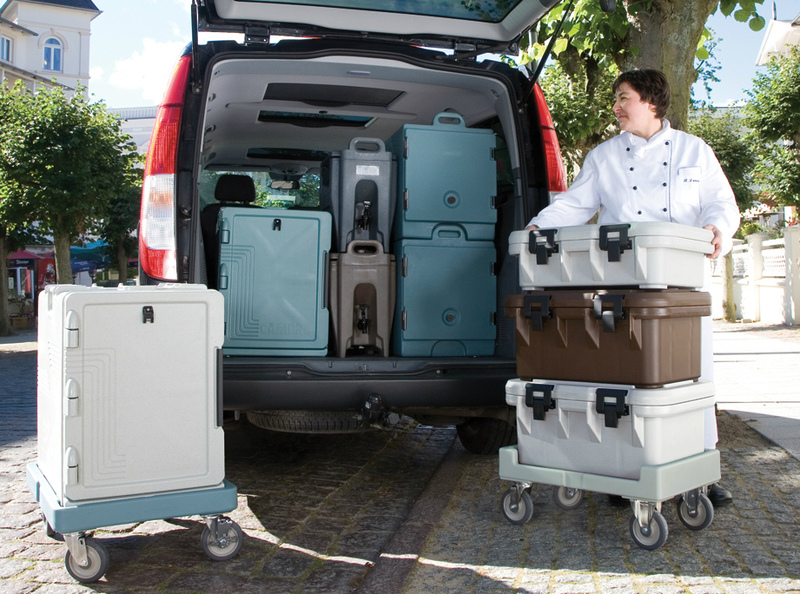 Use Cambro’s Platesafe racks! From 4” to 12 ½” plates of ¾” to 2” depth, the Camrack Platesafe system will keep your inventory neatly and safely organized. Eight styles of ID clips are available to help you label the type, size and quantity of your plates to make stock keeping a cinch. Stack plates vertically between the metal grids and place the rack into the dishwasher. When done, simply pop on a cover and stack racks on its enclosed dolly to form a worry-free fortress for your plates. Two week downtime? No problemo!